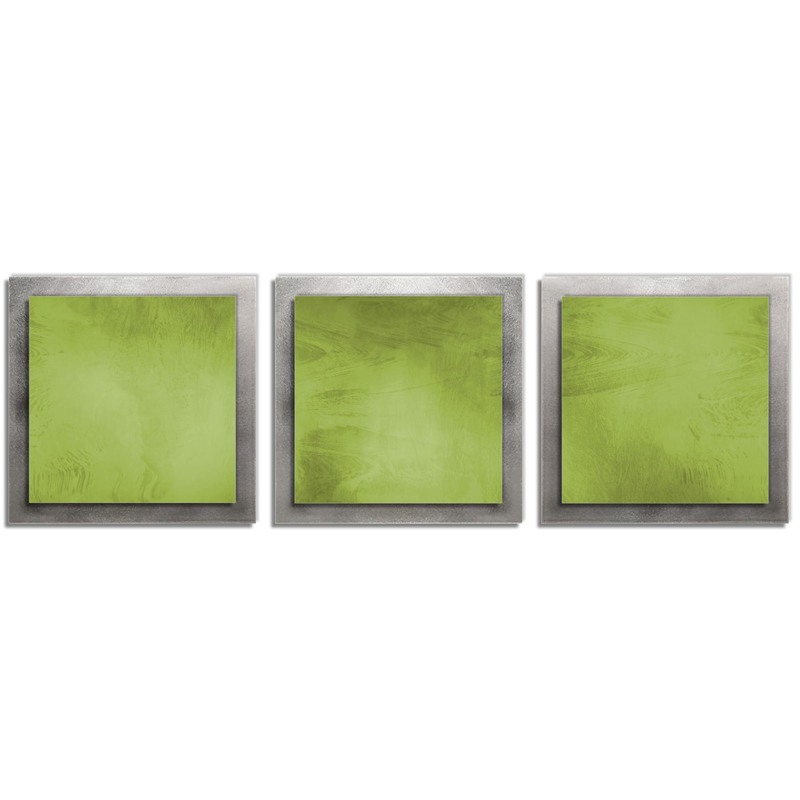 The Green Essence modern art wall sculpture boasts a crisp green color palette. This metallic accent was designed by world-renowned metal artist NAY. The raised, layered panels of this triptych sculpture add a lot of character to a minimalist design. The forest, lime and pastel green color tones of this metal painting represent an organic look and feel, with shades of green commonly being associated with Nature. The satin matte coloring process features subtle swirling patterns. These multi-panel metal wall sculptures allow for flexibility in orientation: some choose a traditional horizontal line, others prefer a vertical line, while others still arrange the metal panels in a more sporadic or random layout. 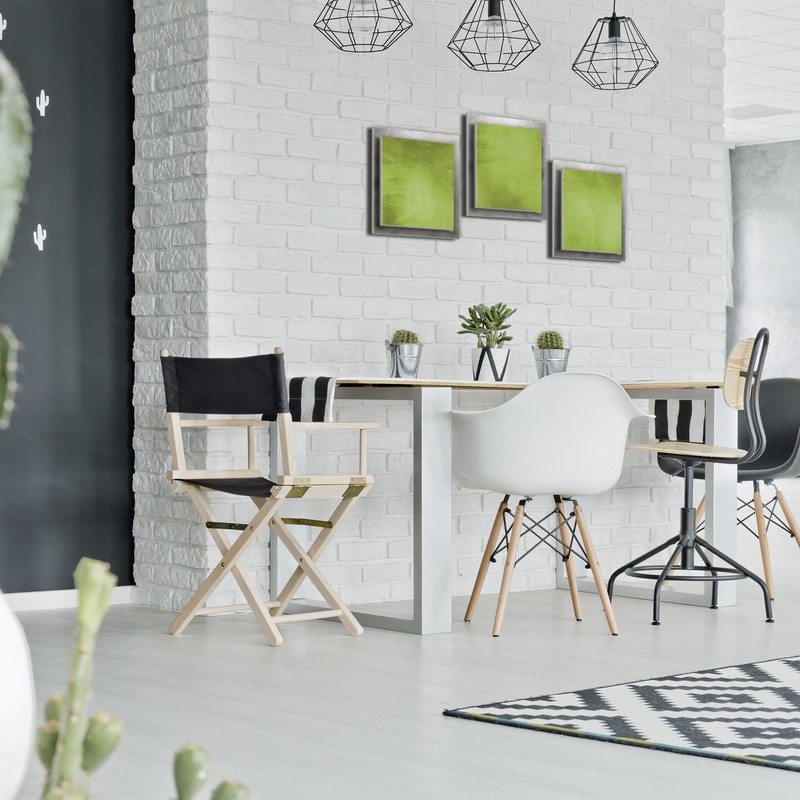 Regardless of the orientation on your wall, the beautiful design and colors of Green Essence will be an eye-catching addition to your wall as the artwork accents the Decor of any modern, contemporary or abstract home or office.